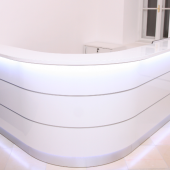 We delivered and mounted this beautyful corner shape reception desk to Vienna. 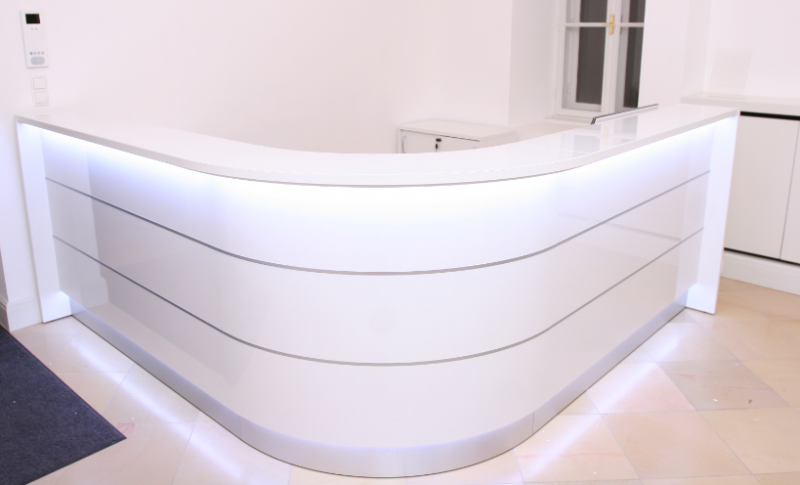 The highglossy front with glastop and the aluminium plinth gives a clean and elegant atmosphare in the reception. Office system Stock deliver all over Europe and UK nationwide.